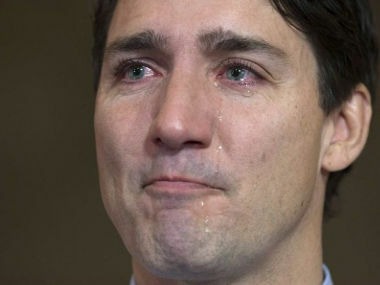 In 2016, SNC-Lavalin admitted that some former executives had illegally arranged donations of more than C$80,000 to Trudeau’s Liberal Party from 2004 to 2011. The company had revenues of some C$10 billion in 2018. Some 9,000 of its 52,000 employees work in Canada. The headquarter and 3,400 of its employees are in the province of Quebec where the Liberals need to pick up votes in October’s federal election to keep their majority. During the fall of 2018 Trudeau and his allies tried to press the attorney general, a Canadian aboriginal, to overturn the decision of the director of public prosecutions, to apply the new law and to thereby drop the criminal charges against SNC. She would not do that. In January Trudeau fired her from the justice minister and attorney general job and gave her a minor position as veteran’s minister. Under solicitor-client privilege and cabinet confidences Wilson-Raybould could not speak out about the issue. On February 7 the scandal leaked from anonymous sources. Five days later Wilson-Raybould resigned as veterans minister. She hired a retired Supreme Court judge as her lawyer, to advise her on what she could say. On February 18 Gerald Butts, Trudeau’s friend and principle secretary, was made the fall guy. He resigned even while he denied that he tried to influence the attorney general. Under pressure, the House of Commons Justice Committee invited Wilson-Raybould to testify. Trudeau had to wave some privilege which allowed her to finally speak out about her time as attorney general.